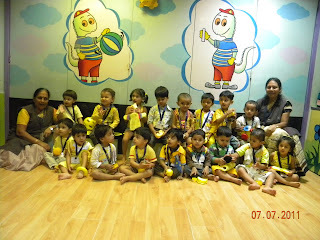 Playgroup session celebrated ‘Yellow Day” on Thursday, July 07, 2011. The theme was basically to introduce yellow color which they all enjoyed and celebrated in a very playful and joyful manner. The class was beautifully decorated with all possible yellow colour objects like yellow mango, ducks, balls etc. 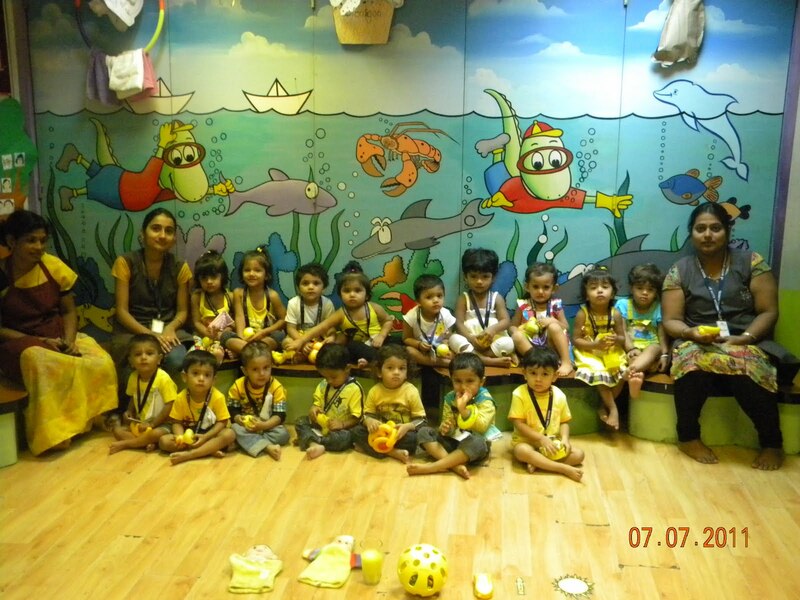 Children had brought delicious yellow colour snacks like Dhoklas, bananas, wafers and chips. They also brought yellow colour objects in their bag like yellow toys, yellow car etc which helped them to recognise the colour easily. All the children were neatly dressed in yellow colour clothes and were shown slides of “The yellow duckling”, in which the colour yellow was emphasized. They were very excited and eager to see their objects being displayed on the table. The cheerfulness, excitement and participation exhibited by each child celebrating this day was outstanding.